NOTE: To search for employees, you must have permission within the Roles & Permissions module. 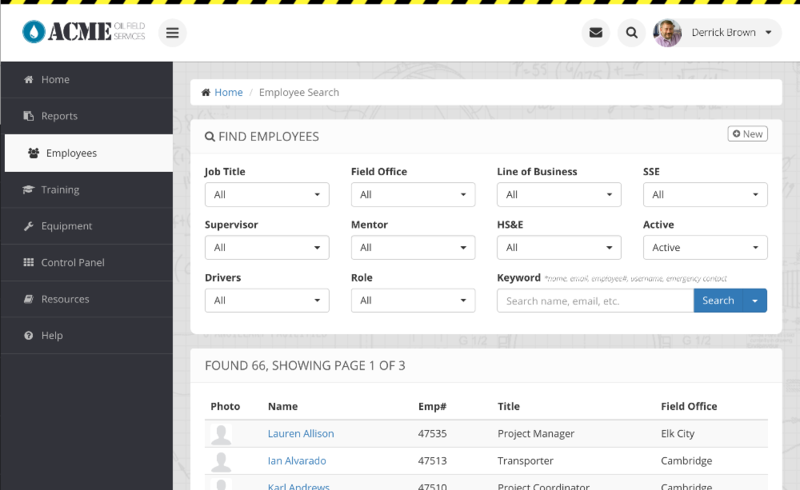 To quickly search for an employee, you can type in their name, email, or employee number into the search box at the top of the Hazard Scout website. The quick search does not show terminated employee profiles. By default, this will only search "Active" profiles. You can choose "All" or "Terminated" to view terminated profiles. Press the arrow next to the search button to export the search results to an Excel spreadsheet. 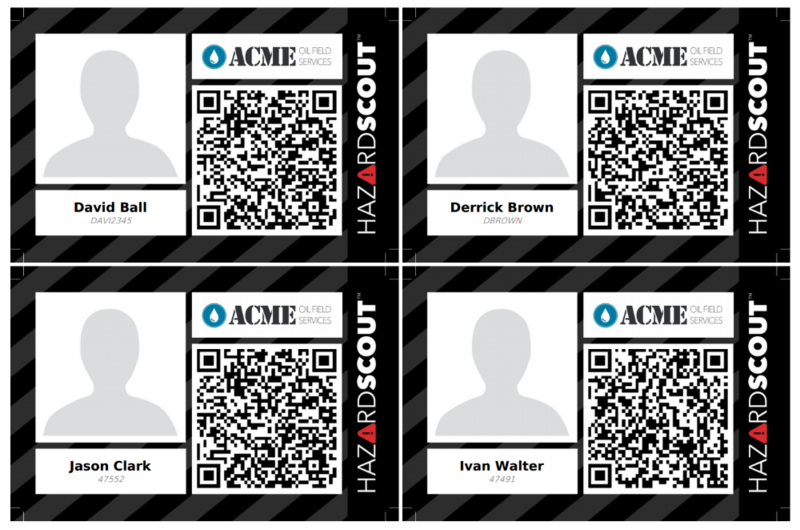 You can also export the filtered list to a PDF of ID cards which include the employee's profile picture and their Hazard Scout QR code.